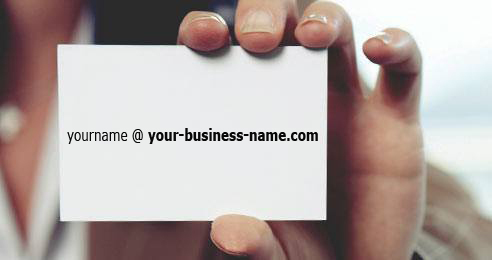 Show customers you mean business with memorable email addresses that look professional and promote your company. Create unlimited addresses – from yourname@ to sales@ or support@ – that are delivered directly to your primary inbox. The present generation is completely technology driven. Businesses are even moving ahead towards automated business processes. Each business process is closely integrated and connected with another business and this is all possible due to the extensive use of recent technology tools. It sounds great to create your own website and moreover get Email Hosting done with it. Also, as a part of professionalism it is important to send Emails to your business partners and clients in an organized and presentable way. One can easily create various Email Addresses which can be specifically allotted to different persons. Moreover, with the help of this service you can easily manage and store your files at one place. The files can be viewed and edited on the browser by the authorized and there is no need to send and receive back each and every mail. WONSOFT makes your life easy by providing you desired results and help in better management. Now send all the business Emails in a professional way with the help of our Email Hosting services in India.